In his Independence Day speech, Prime Minister Narendra Modi said demonetisation (DM) was a great economic and mo ral success. The more modest claim of the Economic Survey , Volume 2, was that the long-term benefits would outweigh the short-term costs.I believe the short-term term costs are understated, and were exacerbated by terrible bungling in execution.Even so, the long-term benefits may , indeed, exceed the short-term costs. That would have greatly reduced dislocation and distress. It was crazy to change the size of the new notes, shutting down ATMs designed for the old notes. This led to enormous queues at banks in which many people died. This government’s first Economic Survey said India was in a “sweet spot“ for achieving 8-10% GDP growth. In fact, after achieving 8% in 201516, GDP growth fell in every quarter of 2016-17. The fall in the last two quarters was clearly exacerbated by DM. Gross value added (GVA) in the final quarter grew by just 5.6%. Excluding public administration and defence, it was only 4.1%. Excluding agriculture (boosted by a good monsoon following a drought), it was only 3.8%. Even these are underestimates, being based on data from mainly large industries, not the informal sector that was worst hit by DM. When the revised data arrive next January , GDP and GVA will be 0.5-1.0% less than the current estimates. GoI hoped that a big chunk of the outstanding ` . 15 lakh crore of cash would not be submitted for re-monetisation, hitting big holders. Alas, it seems -though RBI has yet to give its final tally -that virtually all black cash was laundered. Black money operators didn’t go scot-free. They spent maybe 30-35% on laundering cash through middlemen, comparable to the income-tax rate. The Centre for Monitoring Indian Economy (CMIE) found that in the second week after DM, employment and public satisfaction were up, probably because lakhs of people had been hired to stand in queues for laundering. That’s one reason for its popularity with voters. Data mining after DM revealed 1.8 million accounts getting huge cash deposits from people paying little or no tax, rich fodder for future investigation. New taxpayers in 2016-17 totalled 8.07 million, against 6.35 million in the previous year. The Survey estimates that DM accounted for 0.54 million of the increase. Income taxpayers totalled barely 30 million before Modi came to power. So, the additions since then are very impressive. However, the average income reported by newcomers in 2016-17 was only `. 2.7 lakh. The big fish have not been netted. Net tax collections in the first quarter of 2017-18 rose 14.8%, faster than nominal GDP . DM aided this improved compliance. A secondary objective of DM was to shift from cash to digital transactions, and from the informal to the formal sector. (This will be greatly buttressed by GST.) Before DM, India’s cash-GDP ratio of 12% (and rising) was among the highest globally . DM caused the ratio to crash in December 2016, followed by partial recovery . In June 2017, currency was` . 3.5 lakh crore, or 20%, below the earlier trend. Digital transactions showed a similar encouraging trend. If these trends are sustained -which is not yet certain -that will mean major progress. 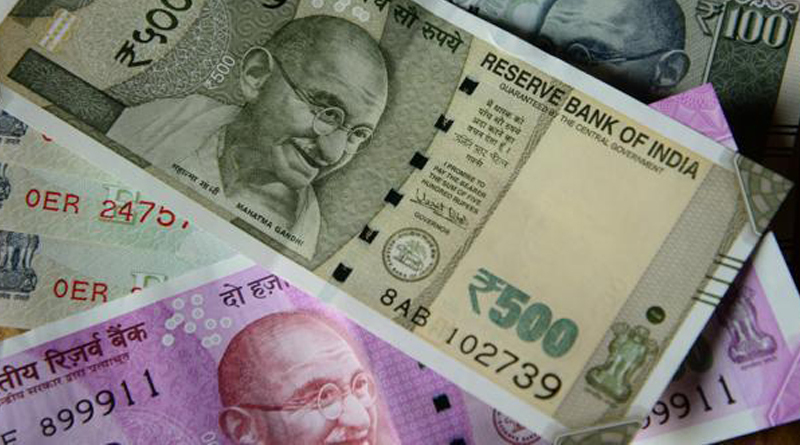 Black money operators keep few of their billions in cash. Almost all is in assets yielding returns. DM has bare ly touched the black hoard. Nor can it stop fresh black money generation without several supporting reforms. Knowing this, Modi has gone for supporting measures, such as the be nami property law, crackdown on sh ell companies, income-tax amnesties and cut in the first income tax slab to 5% (making honesty cheaper). Arou nd `. 800 crore of property has been se ized under the benami property law, and 1.75 lakh shell companies have FILE PHOTO been de-registered. Between April 1 and August 5, 5.5 million newcomers filed income-tax returns, against 2.2 million in the same period last year. GST will also improve compliance. Modi came to power promising jobs for all and good governance. He has failed dismally to accelerate formal sector employment. Wages for cas ual labour have risen substantially , suggesting improved job conditions in the informal sector. But overall employment has been an area of fai lure for Modi. Hence, he has shifted focus to his other main promise: better govern ance. He has successfully projected himself as the first Prime Minister for decades to be serious about integ rity . He cannot end corruption in the bureaucracy or state governments (which account for 62% of governme nt spending and over 90% of govern mental contact with citizens). But DM is one of many measures that have convinced voters that Modi is serious about raising moral stan dards in business and politics. That has already yielded political dividen ds. If sustained, it will also yield lar ge economic dividends.